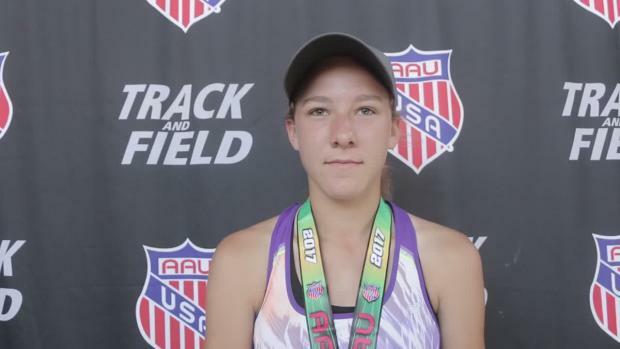 Skylar Ciccolini after the 2017 AAU National Championships. Over the last few years, we've had some big names dominate the throwing events like 2017 Donovan Catholic High School (NJ) graduate Alyssa Wilson in the shot and discus. This year, one of the big names to watch just may be Mifflin County (PA) High School's Skylar Ciccolini. 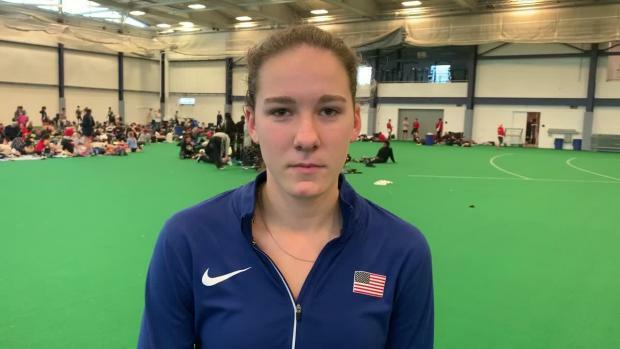 Just this past fall at the Youth Olympics in Buenos Aries, Argentina, Ciccolini set a new U.S. National High School record with the 500-gram javelin. The senior and University of Missouri signee's record-setting throw was a whopping 180-08 (55.07 meters). Ciccolini also holds the U.S. No. 11 all-time mark in the 600-gram javelin and is the fifth-best competitor all time. She threw 177 feet, 0.5 inches last year at the Frederick Bastian Track & Field Classic. Check out the full list of top returning throwers below.